Pictured (Left to Right) Fulton Police Sergeant Joseph Pappalardo and Chief Orlo Green accept AAAÃ¢â‚¬â„¢s Platinum Award from AAA Assistant Vice President John Sansone. 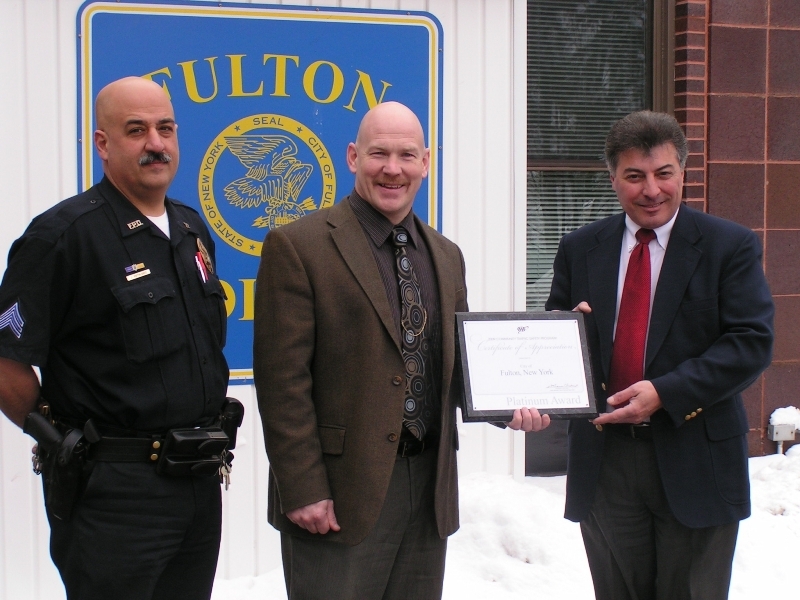 AAA Western and Central New York has recognized the Fulton Police Department for its continued success in AAAÃ¢â‚¬â„¢s Community Traffic Safety Program. 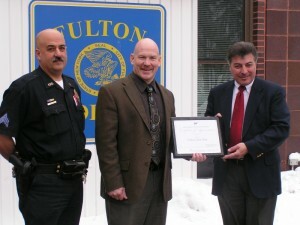 AAAÃ¢â‚¬â„¢s Platinum Award was presented to Police Chief Orlo Green and Sergeant Joseph Pappalardo today in Fulton. AAAÃ¢â‚¬â„¢s Community Traffic Safety Program is an awards and recognition program for communities of all sizes nationwide that identify and address their local traffic safety issues. The program considers basic crash statistics, presence of a traffic safety leadership group, programs, projects, and their effectiveness. The awards progress from Honorable Mention to Bronze, Silver, Gold, and to the highest level, Platinum. Fulton received its third Platinum Award, given to communities that not only demonstrate outstanding success in addressing local traffic safety issues, but show a clear trend of improvement over five years and/or provide data that is substantially better than the statewide data for communities of similar size. In eight years of participation, Fulton has also received five Gold Awards. Fulton demonstrated success with programs addressing: drunk and impaired driving; aggressive, unsafe and distracted driving behaviors; speeding; occupant protection and child passenger safety; school bus and school zone safety; pedestrian safety; and work zone safety. Additionally, Fulton met the criteria for Platinum with their favorable statistics for pedestrian injuries and seat belt usage. Only ten communities in New York State received top Platinum honors. 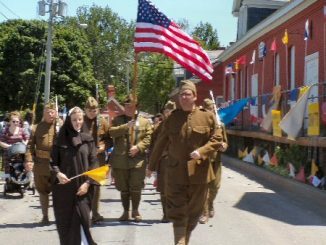 In addition to Fulton, Platinum Awards were presented to Baldwinsville, Brockport, Camillus, East Syracuse, Garden City, New Rochelle, Port Washington, Tarrytown, and White Plains, NY. Participation in AAAÃ¢â‚¬â„¢s Community Traffic Safety Program is open to communities of all sizes nationwide. As Upstate New YorkÃ¢â‚¬â„¢s largest member services organization, AAA provides nearly 880,000 members with travel, insurance, financial and automotive related services. Since its founding in 1900, AAA has been a leading advocate for the safety and security of all travelers. Visit AAA at www.AAA.com.